Throughout my childhood I had the privilege of visiting the Timbivati – of white lion fame – for a long weekend each July. One of the things I remember most were the ‘booze cruises’ through the bush at sunset. After a lazy afternoon snooze – no doubt aided by plenty of vino at lunch – we would climb into the back of the Land rover, which had been plentifully stocked with all manner of drinks – to go and spot animals and enjoy an African sunset whilst the grown-ups drank a chilly Sauvignon Blanc, cold beer or G & T in the great outdoors with more than a hint of danger in the rapidly falling dusk. 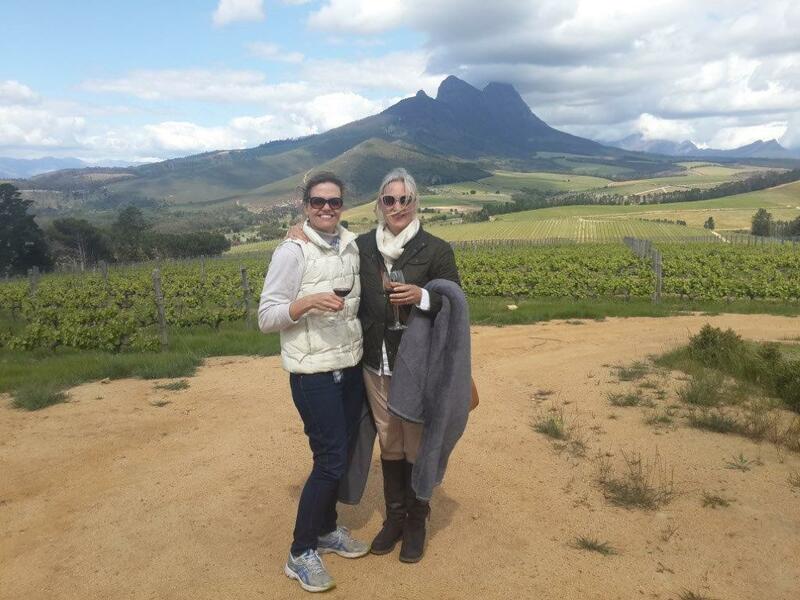 All grown up, twenty years later, a girlfriend and I – my research partner in wine – are sampling what is on offer in the Cape of Good Hope in the form of ‘Wine Safaris’. 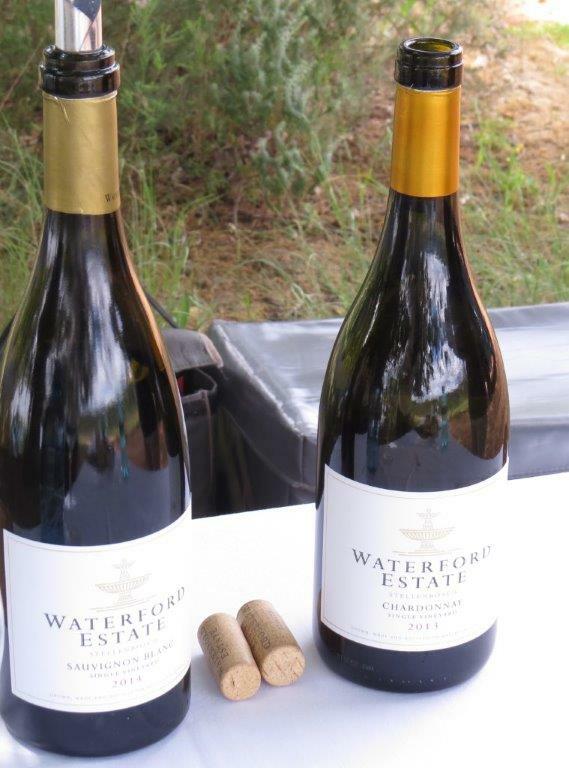 Two of the farms which we visited together, namely Waterford Estate and Warwick offer very different but equally enjoyable experiences. To be perfectly fair Waterford Estate calls their 4 x 4 experience where one tastes the different varietals in the vineyards where they are grown- a Wine Drive – but it is the whole notion of being on the back of an open vehicle with a full cool box and a handsome game driver – oops – wine guide – which evokes very happy ‘’Safari –like’’ memories. Signing indemnity forms whilst quaffing MCC! On arrival at Waterford we were greeted by our affable and highly informative host currently completing his Masters in Geotechnical engineering – think ‘Google Earth’. 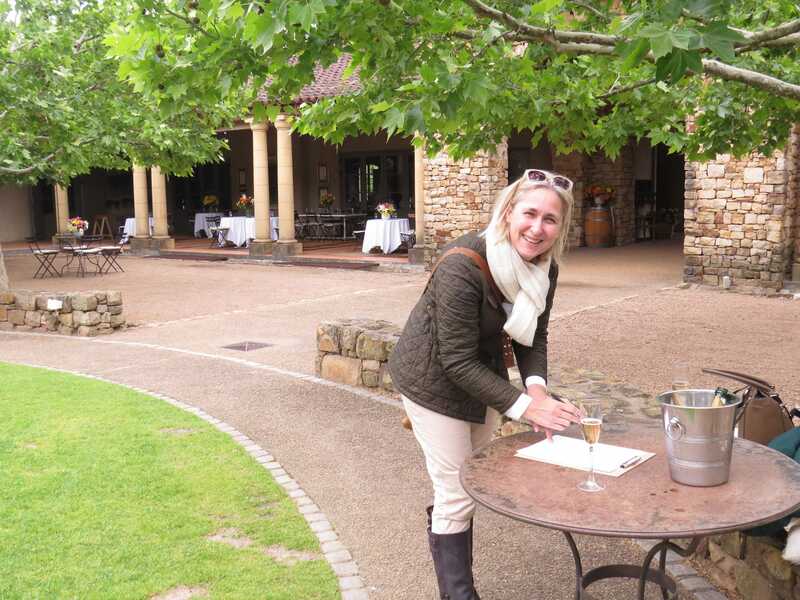 Whilst quaffing a glass of Villiera bubbly in the elegant courtyard, we happily signed our indemnity forms before a personal tour of the cellar. Once we had admired the impressive barrel cellar we got into the 4 x 4 which can take 10 people. Being a somewhat chilly day we were grateful for the personal blankets. Heading into the vineyards the most gorgeous vistas unfolded. We enjoyed the view of the whole Lion, not just its head crouching beside Table Mountain. 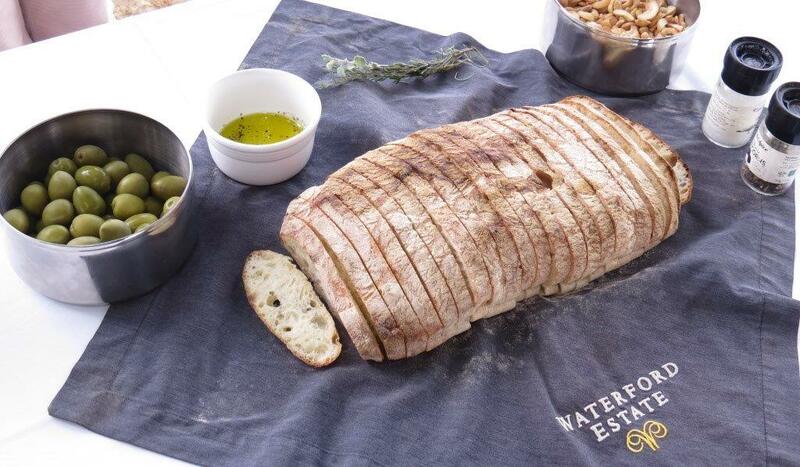 We stopped next to a small lake and as our guide laid out the white tablecloth and crusty sourdough bread with estate olive oil, it was the attention to detail which impressed. He went and picked some local fynbos herbs to accompany our tasting of the white wines – Chardonnay and Sauvignon Blanc. Next stop was high up in the vineyards where we sampled the superb red wines which this farm produces. No need for lunch what with the generous bowls of droe wors and biltong as well as green olives and cashew nuts. Returning to the elegant tasting room, we were not disappointed to finish off on a sweet note with the renowned chocolate wine pairings in front of a crackling fire. What a treat – see Waterford to book. Heading past Stellenbosch we arrived for our next wine safari experience at Warwick which is a destination winery par excellence. Very child friendly and offering something for every member of the family, Warwick has captured an extremely loyal and growing customer base. Less bespoke (and more pocket –friendly on the wallet) our wine safari was casual and enjoyable. 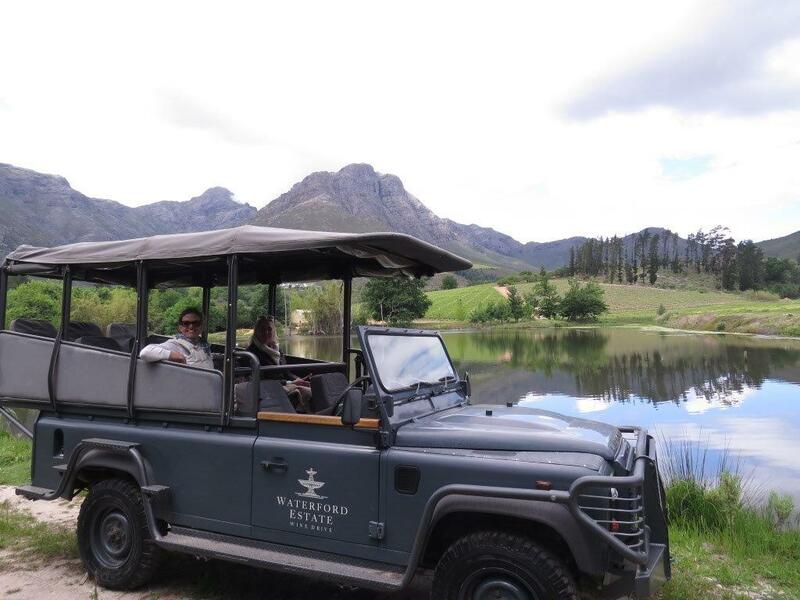 Our guide set off into the vineyards in a safari vehicle stopping off along the way to compare different varietals to different members of the traditional Big Five. It was fun and educational and we both learned something whilst enjoying the ride on the 4 x 4! The views at the top were amazing – 360 % and encompassing Paarl Rock, Franschhoek, Stellenbosch and Cape Town. We stopped at the private viewing area which can be hired out – what a place for a celebration- and were given a glass of Warwick’s flagship red ‘’The First Lady’’ named after owner Norma Ratcliffe who was the first female wine maker in South Africa . Avondale near Paarl also offers an eco-Wine Safari. Having heard of the special white ducks responsible for keeping the vineyards snail – free I was curious to see them in action and experience what is on offer. The spectacular view of Paarl Rock is what grabs one initially on this peaceful family owned estate. After being greeted at the door to the tasting room adorned with landscapes by Scats Esterhuyse and enjoying their delicious MCC which has just won several international awards, I was invited to step onto the back of their bakkie. Memories flooded back of being a little girl growing up in the old Transvaal and visiting my oupa and granny on their farm near Swartruggens. I like the fact that whilst there is a very swish tasting room and cellar door experience – guests can be taken up into the lands to see where Nature is abundantly at work on this biodynamic estate. The ducks are very cute in their duck mobile and do invaluable work whilst having the weekends off! Like the excellent wines it produces, the reputation of this estate is growing organically and now that Matt Manning of One Ingredient is providing the lunch platters visitors are assured a gourmet experience. 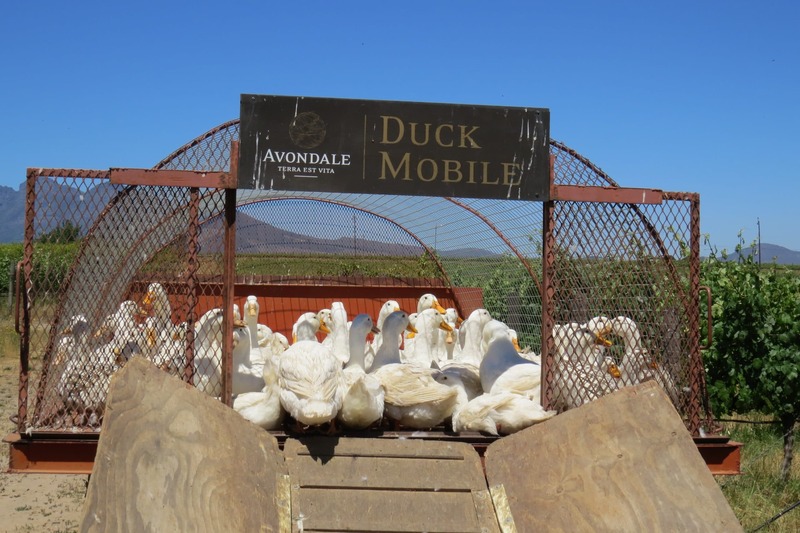 Duck Mobile at Avondale – an eco way to keep the vineyards snail free! If you are looking for a real Wine Safari and more authentic experience then join the legendary Peter Finlayson of Bouchard-Finlayson fame and wildlife photographer David Rogers on a 6-night safari to Zambia’s South Luangwa National Park organised through Robin Pope Safaris. After a full day of game watching and photography, Peter will introduce his wines over a delicious bush meal. See here for details. Many clients rave about Boulders Singita and the truly exceptional cellar that stocks top South African wine. There can be few things in life as satisfying as drinking regional wine in beautiful natural surroundings and the sights and sounds of the bush only add to the experience. 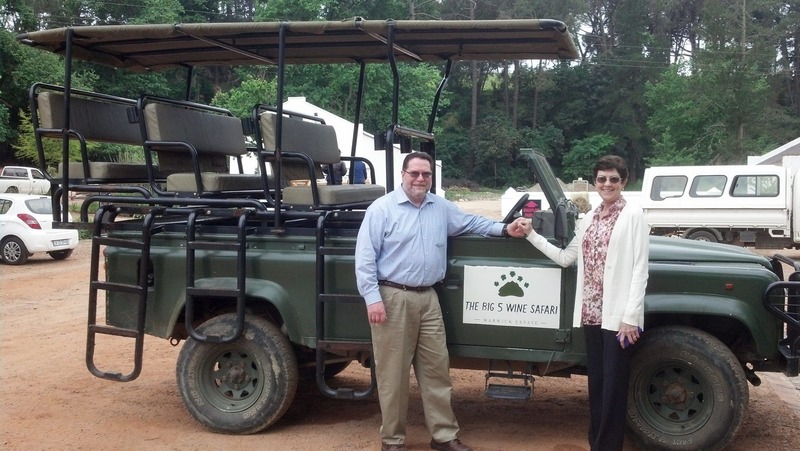 Wine safaris are a unique way to experience the best of what Africa has to offer. What a wonderful way to enjoy the wines and scenery of the Cape!